After the flush of first love or the relief of realizing that you set the alarm for an hour early, the best feeling is remembering that you had the smarts to complete a task ahead of time that will make your life easier right now. Because even if you're willing to go the grocery store, to chop and stir and—golly!—to do the dishes, you can always use help on some of the pain-points: soaking the chickpeas, letting the fish marinate for an hour-plus, even whisking together a vinaigrette. Here are 25 tasks—big and small, sweet and savory—you can complete quickly (some take 30 minutes, though most take only 5!) in the morning that will make it easier when dinner (or dessert) comes to shove. We even added in some tools and supplies to help get you started. 2. Soak beans (if you are a bean soaker); soak chickpeas for hummus (even Russ Parsons, no-soaking-renegade, still soaks his chickpeas). 3. Measure the ingredients for a vinaigrette into a jar. 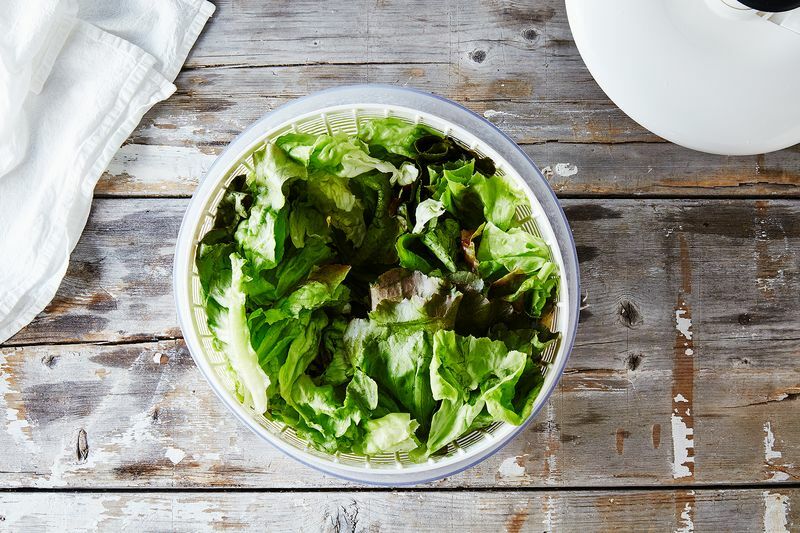 Cover, refrigerate, and shake when you're ready to salad-dress. 5. Similarly, mix together a cookie dough that normally has to sit "overnight." 7. Boil (or steam) eggs. Soft boil them, hard boil them, or turn them soy sauce-y. 8. Pat your chicken (whole or wings or what have you!) dry, then let it sit in the fridge, uncovered, until you're ready to prepare it: Less moisture in the skin = a drier, more crackly crust. 9. Wash your greens, then store them in the fridge. Kristen likes to wash and spin her lettuces, then stick the whole spinner in the refrigerator, lid and all. 10. Defrost your meat or fish by moving it from the freezer to the fridge. You will be so happy later. 11. Start a pot of grains before you get in the shower. If that grain is rice, you're setting yourself up for fried rice later. 12. And also defrost puff pastry. Turn half of it into a savory tart—and half into palmiers for dessert! 13. Quick-pickle! Jalapeños, raisins, carrots. 14. Cube your aging bread and leave it out to grow stale. You're on your way to panzanella, croutons, and breadcrumbs. And on chilly days, ribollita and bread pudding. 15. Squeeze a bunch of lemons. That juice will come in handy. 16. Prepare dashi with cold water and leave it, covered, in the refrigerator to steep while you're at work. 17. 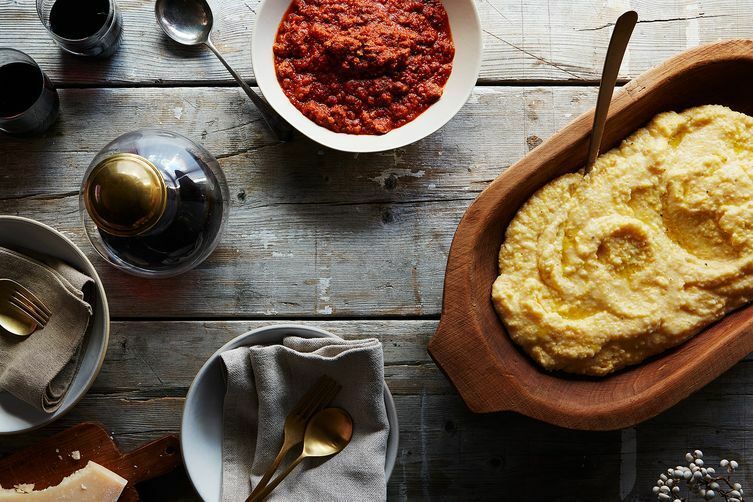 Soak polenta! Whisk boiling water into your polenta in the morning and it will only take 10 (or 12) minutes to turn it into something rich and creamy and ready for red sauce later that evening. 18. Soak cashews in the morning and you'll have cashew cream in no time (make extra, and use it in your overnight oats for the next morning). 19. Toast nuts and store them in an airtight container. One less thing to do when you're assembling a salad later! 20. Make brownies even richer by giving the batter a several-hour rest in the fridge. 21. Whisk together pancake mix and have breakfast for dinner (just add buttermilk—or milk plus lemon juice—and an egg). 22. It will take you about 10 minutes to blitz all the ingredients for strawberry sorbet in a food processor and only 20 more to churn it in an ice cream machine. Let it freeze while you're at work. 23. Your slow cooker is calling your name. Devote 5 minutes to it this morning and it will feed you poached chicken, chicken Parmesan soup, and/or choucroute when you get home. 25. Make some yogurt for tomorrow! Boil the milk, let it cool to bath temperature, then add the dollops of culture. Swaddle your pot and let it hang out during the day. Strain the yogurt that night in the fridge for tomorrow morning's breakfast.